More or less done with this guy! Shortened the barrel quite a bit - perhaps too much. But it did result in a weapon with a pretty interesting profile. Filled up the giant boils on his belly as well - I'm going for a slightly more subtle nurgly look with this guy. Wow this one is so cool! Very nice! I love that you go with a more subtle nurgly touch. 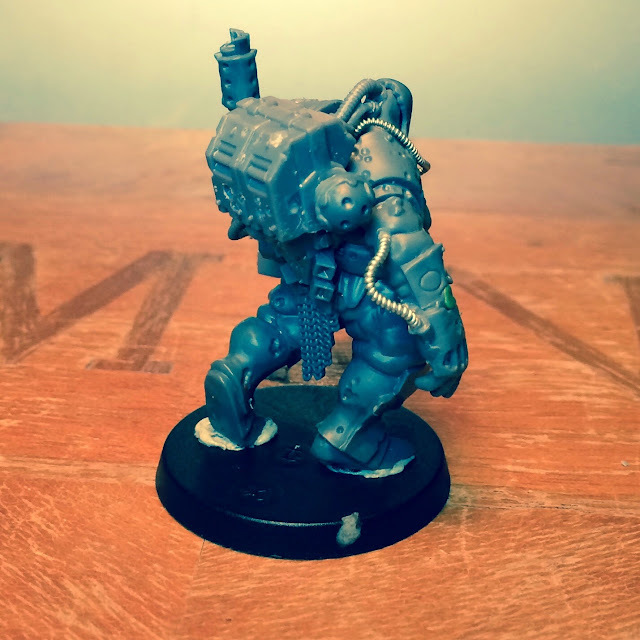 The New bolter looks very good too, just right for a heavy guy like him! Gets more and more badass by the minute. I actually prefer this incarnation of gun barrel. I'd say you shortened the barrel perfectly, looks great. Where is the fist on the right hand from? The hand is cut from a scion powerfist. That is some lovely work!!! Wow! Funny how much the shortened barrel enhances the overall feel of the model. I also think that it makes the gun more brutal in its bluntness. One thing I'm not a fan of is the helmet actually. I always like seeing the face as it gives a strong focal point and more personality. Though I've said the same on another build of yours so it's old news really.. Thanks for the feddback guys! @bigboss: I get what you´re saying, but I don´t agree - especially when it comes to villains. Very cool. 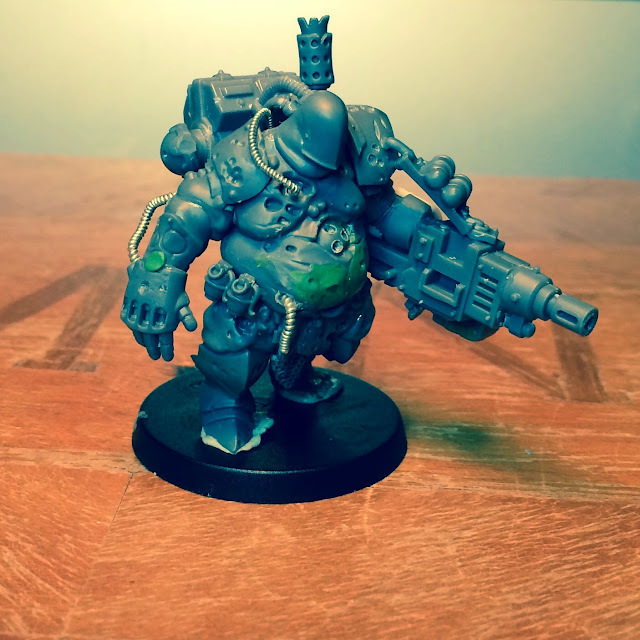 It's special when you see the same kit being converted all over the world :) Im still waiting for mine to turn into Fenrisian Thralls. Cheers Migs! Can´t wait to see what you make out of these guys! Fantastic looking work! The sense of motion and purpose in the model is perfect! I really like how you took the effort to add all the little cables attached to the back of his head. Shortening his heavy weapon turned out greatly too. I discovered this blog few days ago... Most of what i saw is excellent ! Especially your last creations Jeff. This big guy is exactly what i had in mind to obtain plausible nurgle obliterators. Can I ask you what kind of bitz is the main part of the gun ? Same question about the strap with ammo ? Glad you dig the blog, mate! 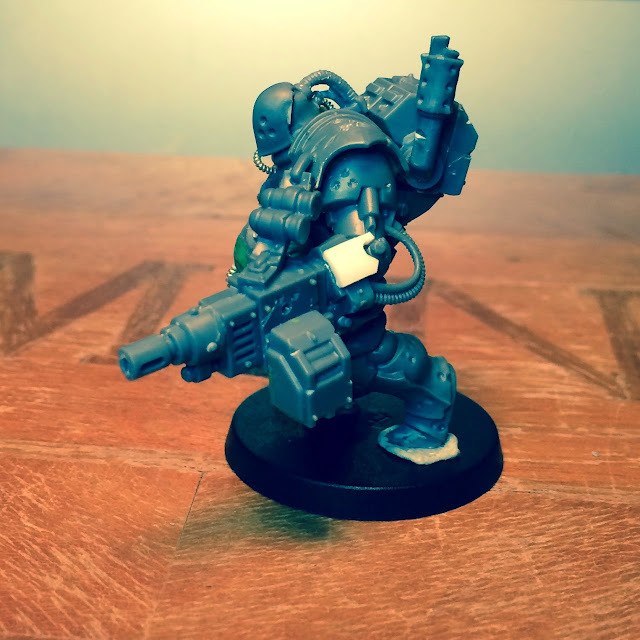 The gun is made from a cut down 'eavy shoota from an ork dread while the strap is from the freebootaz. Smaller, really ? I thought the official ones were just a little bigger than a terminator. Orks, of course... It's a shame i don't know the green buddies bitz ! And excuse me but, what is the freebootaz ?